The title race is finally over. Lewis Hamilton went into this weekend knowing a 7th placed finish or higher would be enough for him to clinch his fifth World Championship. He did better than that, finishing 4nd, to put himself level with Juan Manuel Fangio. It was going to take a lot for Hamilton not to wrap up the title with two races left. This was further helped by the fact that the one team who were having a better weekend than Mercedes, were not Ferrari. 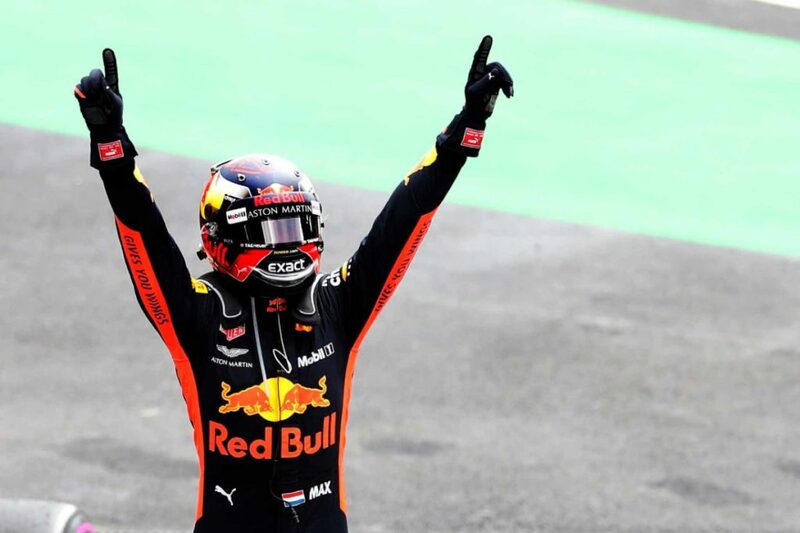 Red Bull had a fine weekend, dominating in practice and carried that through to qualifying, finishing with Max Verstappen winning his second race of the season and his second win in Mexico. It has seemed like this day was inevitable, by not only Mercedes’ performances over the last few races, but also Ferrari’s lack of a challenge of late (Kimi Raikkonen’s win in Austin aside). This weekend was no different. 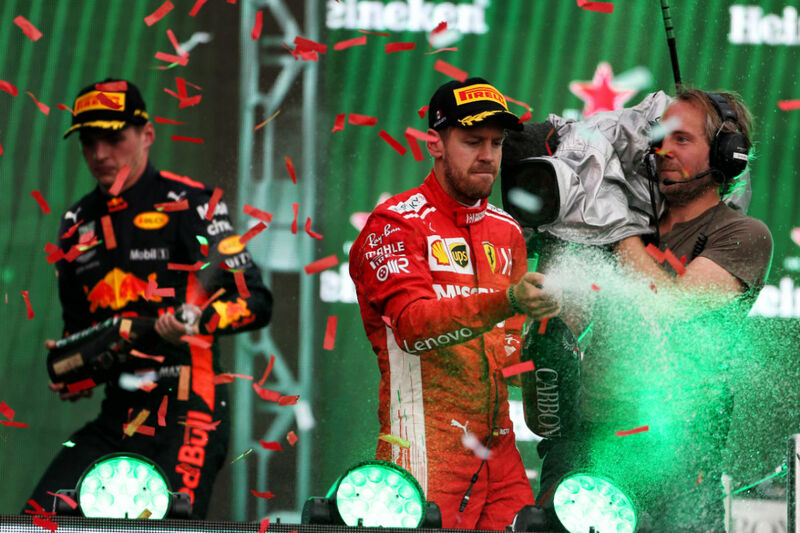 When Vettel won at Silverstone, leading the championship by eight points, not many would have expected Ferrari to be the third best car with the title lost in Mexico. Race winner Verstappen was the second happiest driver on the grid after Sunday but he was one of the unhappiest after Saturday’s qualifying. After setting the pace throughout much of the weekend, he saw his pole position taken away by his teammate Daniel Ricciardo. The Aussie set a lap record in a Red Bull he has just two races left to drive in before he moves to Renault next year. Behind them Hamilton crucially got in front of Vettel on the second row. The rest of the grid was very even, with many teams losing both cars in the same session. Haas were the surprise Q1 casualties, a similar story to the same qualifying session in Mexico last year. Further up both Sauber’s had made it in to Q3. As always all eyes were on the start and how the front four would do. Any suggestion that the Red Bulls would race each other and cause headaches for Christian Horner would soon be squashed. Verstappen made a good start to get his nose in front with Hamilton darting in between the two, almost taking the lead before the Dutchman held on and went off into the distance. Elsewhere there was a good start for Carlos Sainz, another driver on the move in 2019, who got his Renault in to 6th. However the Spaniard’s race would end early as his car gave up the ghost when he was looking set for a points finish. Sainz was the second Spaniard to retire after Fernando Alonso had to leave his car after just five laps. It is another depressing end to a race for one of the sports greats as his career comes to an end. After the restart, following Sainz’s retirement bringing out the virtual safety car, Vettel chased after Ricciardo in 3rd and finally got past the Aussie. Unfortunately for the German, this would not be last time he saw of the back of the Red Bull of Ricciardo in this race. A few laps later Vettel passedt Hamilton. Using DRS and the slipstream he got past his championship rival into 2nd. Hamilton was safe for now but Vettel was giving it everything he could to stop the title race ending this weekend. The home fans were in good voice this weekend as always, especially for their compatriot Sergio Perez in the Force India. The Mexican had qualified in 13th but had some good battles when in the top ten during the race. However it would be a DNF for Perez on lap 42 as the crowd let out a large grown of despair. With over twenty laps to go, Hamilton was struggling on his tyres. Ricciardo was right behind him for a few laps before Lewis went wide, opening up the gap for the Red Bull to pass in to 2nd. It was clear Hamilton’s tyres were shot and he was understandably not happy about it as he came in to the pits straight away to get another set on. However the tyres he did put on were not fresh, as he had used them in qualifying briefly. A lap later Bottas repeats his teammates actions of going wide, this time letting Raikkonen through. Just when it was looking like it was going to be a perfect weekend for Red Bull, Ricciardo’s hard luck hit again. With just ten laps to go his Red Bull was producing smoke from the rear and caused the Aussie’s 8th retirement of the season, more than any other driver in 2018. 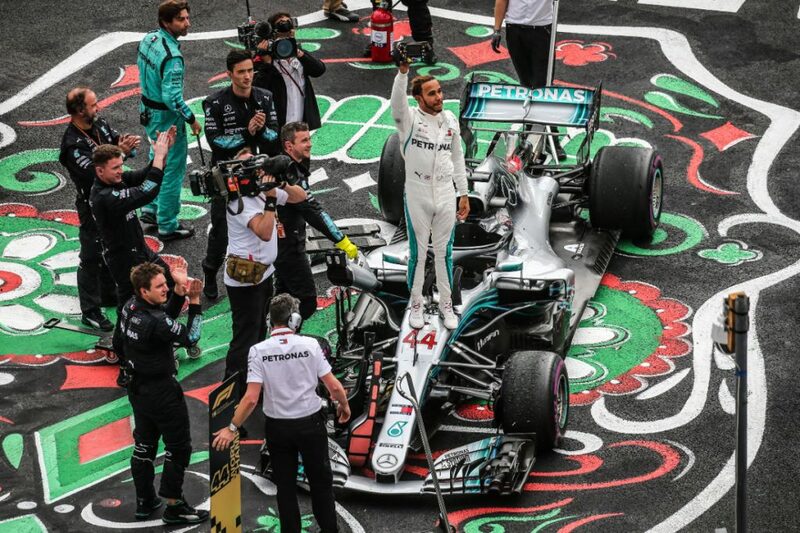 The frustration and disappointment was clear to see and for all F1 fans, we all hope he gets a rub of the green for his new team in 2019. All of this lead to Verstappen cruising his way to victory with the other two podium places going to the two Ferraris. The result was bittersweet for Ferrari though as Hamilton crossed the checkered flag in 4th, confirming his fifth world championship. 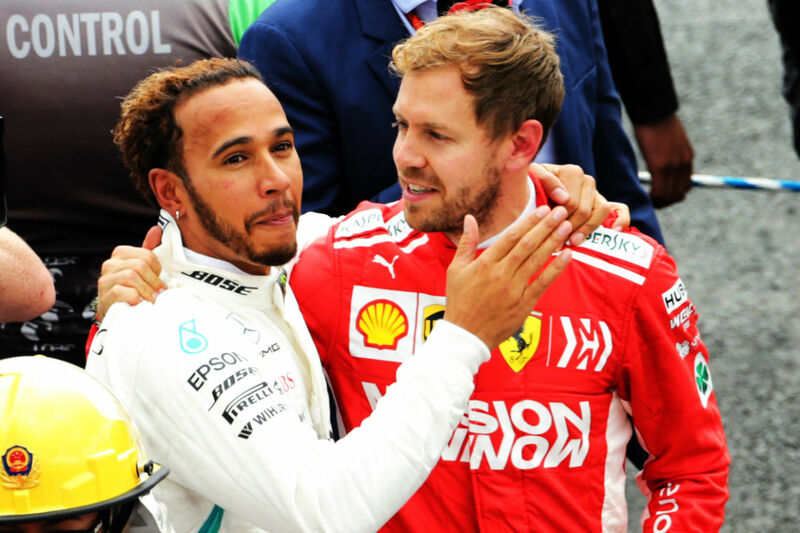 Despite Vettel’s disappointment, he showed true class after the race, finishing his post race interview early to congratulate Hamilton.